PPAquatech recirculatingaquaculture systems(RAS) are used in home aquaria and for fish production where water exchange is limited and the use of biofiltration is required to reduce ammonia toxicity. K1 MBBR bio media provides the maximum surface area necessary to allow beneficial bacteria to grow and remove ammonia and nitrites from your water. Removing ammonia and nitrites from your water is essential for healthy koi (fish). 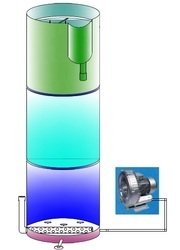 The kaldnes k1 media moves around in the filter chamber the bacteria go to work and start removing the ammonia and nitrites. 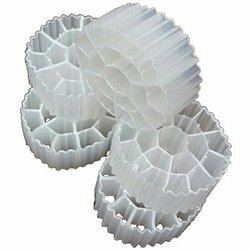 K1 mbbr filter media can be used for pond filters, aquaponics, hydroponics, sewage treatment, and more. This kind mbbr bio media is slightly buoyant and perfect for mechanical or biological filtration and is available in 12*25mm,or other special size request from customer.k1 mbbr media filter can widely used in waste water treatments, aquaponics, aquaculture , hydroponics , ponds ,aquarium, biological treatment of wastewater reuse, and newly built sewage treatment factory of MBBR and BAF process etc. We are counted among renowned & trusted names in offering an exclusive range of bio media for aquaculture fish farming. These are manufactured Supply & fabricated by our team of experts using the high-grade material. Our offered range of bio Media can be availed by our esteemed clients at very economical prices. We are a big manufactuterr and supplier of drum filter for aquaculture system. 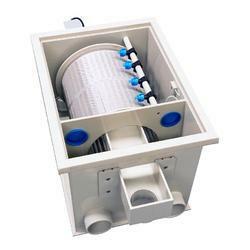 Bio Filter media are very light in weight, easy to handle, and have Long time working capability. Aquaculture Bio filter materials are used in Biofilter made of the plastics and polyethylene for neutralied amonnia and nitrates. They are heat-resistant, chemical and corrosion-resistant. We are offering them in Natural colors. We are big manufacture and suplier of compact RAS (Recirculatory Aquaculture system) system for Fish Farming. 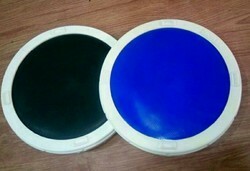 We are introduce nano air diffuser for aquacuture, pond aeration and fish farming. 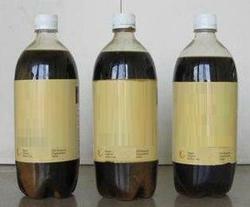 Its helps to maintain desolve oxygen level and reduce amonia for waste water of pond, aquaculture fish farm etc. Size : 225 mm & 300 mm. We are devlope biofloc aquaculture for fish farming for increasing production. 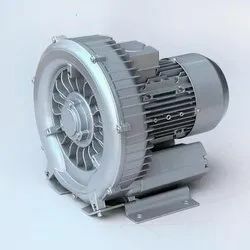 We are big stockist and supplier of aquaculture air blower for aquaculture system.